Lightweight, digitally printed flags fly beautifully, even in a light breeze and are an ideal way to catch the eye of your potential customer to enhance brand awareness. We have our standard set sizes, or can produce flags to any size and shape with single or double-sided print options available, including flags for flagpoles or custom size flags for any occasion. All our production and finishing is in-house. If you do not see what you require, or you’re not sure what sort of flag is suitable for you, please call us on 01280 707 180 or email sales@xg-group.co.uk and our team will be happy to help. 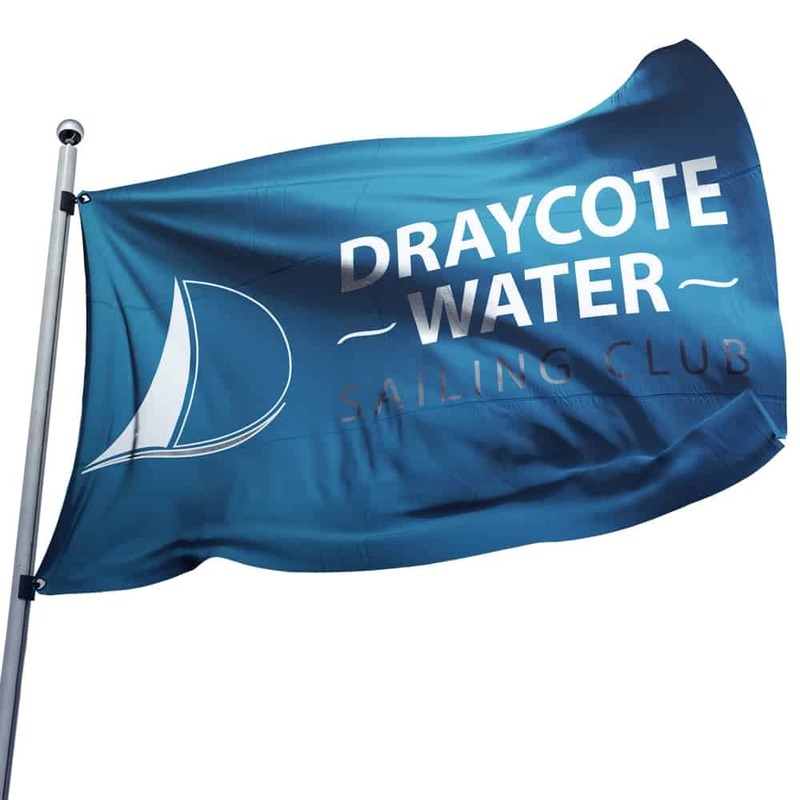 Please note: due to the nature of the materials and processes used to make digitally printed flags and the varying conditions in which they are used, there is a life expectancy of between 3 and 9 months if used continuously and therefore we recommend ordering x3 off for a year’s use. Hover over your selected style below to see a description. Finished with 'D' rings, standard for a flagpole with rope and toggle. 115gsm lightweight knitted polyester & is available in single or double sided options. Finished with a pocket top and eyelets down the left-hand side. Standard for a rotating arm flagpole. This knitted polyester is available in single or double sided options. Single-sided flags have a mirror image of your graphic on the reverse side. 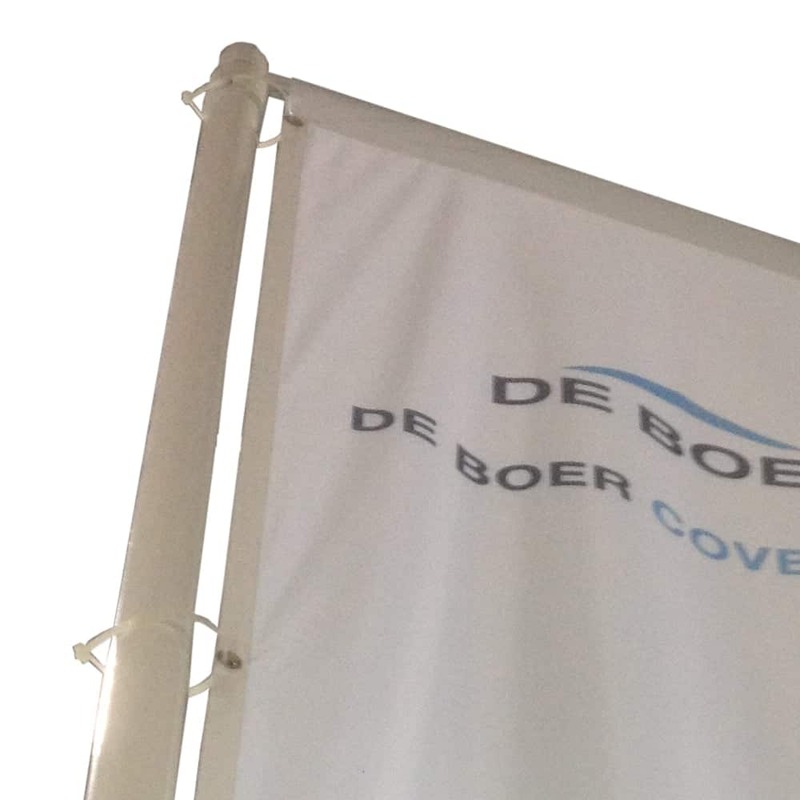 Lightweight flags move with the lightest of winds and attract attention. Double-sided flags use a blockout liner so they read correctly on both sides. These are ideal for exhibitions or events. Single-sided flags have a life expectancy of 3-9 months depending on varying conditions. Therefore it may be worth considering buying more than one if you want to use over a longer period of time. Double-sided flags are for promotional use only and, if used for continuous flying, the life expectancy is dramatically reduced. Finished with ‘D’ rings, standard for a flagpole with rope and toggle. 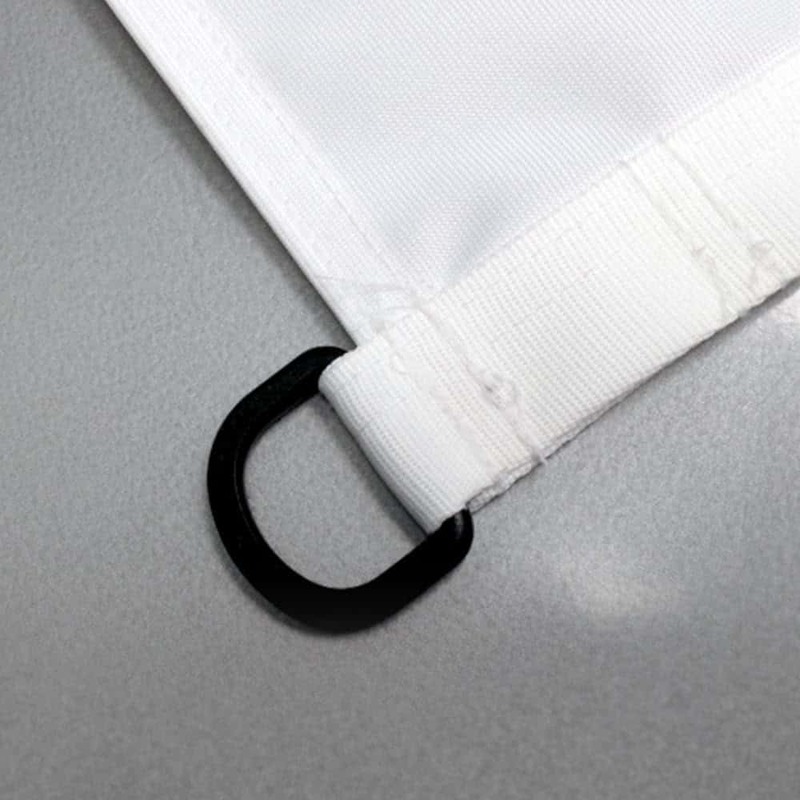 115gsm lightweight knitted polyester & is available in single or double sided options. Finished with a pocket top and eyelets down the left-hand side for a rotating flagpole. This knitted polyester is available in single or double sided options. 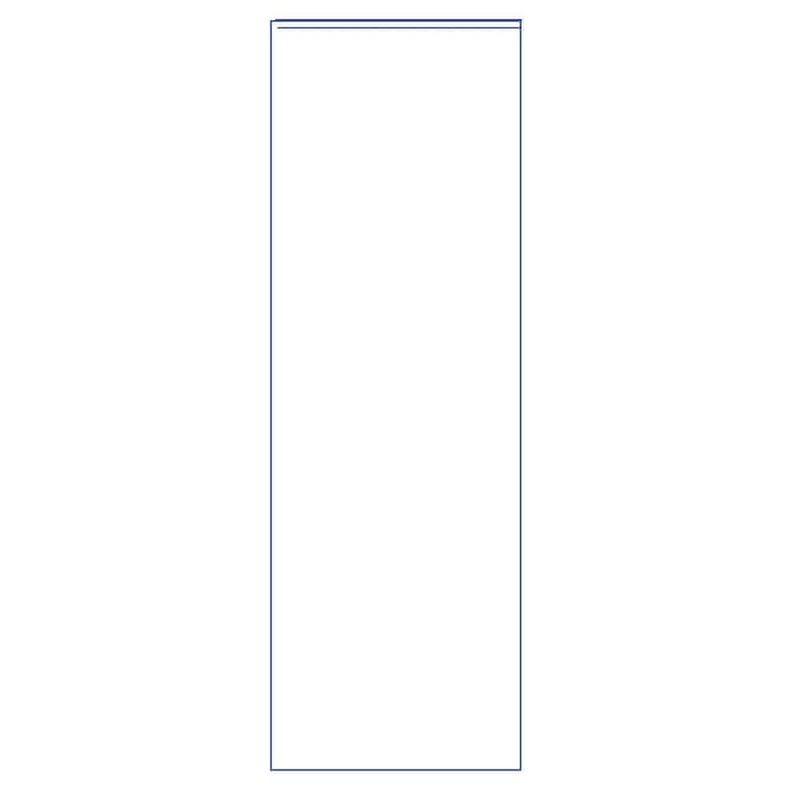 Hover over your selected shape below to see dimensions. Hover over your selected finishing below to see a description. Our standard finishing gives you a 25mm 'D-Ring' top & bottom. It can accommodate almost any flag pole attachment system. Finished with pocket top and eyelets down the left hand side. Standard for a rotating arm flagpole. For different flag finishing requirements please contact us on 01280 707 180 or email sales@xg-group.co.uk and our team will be more than happy to help. Our standard finishing gives you a 25mm ‘D-Ring’ top & bottom. It can accommodate almost any flag pole attachment system. 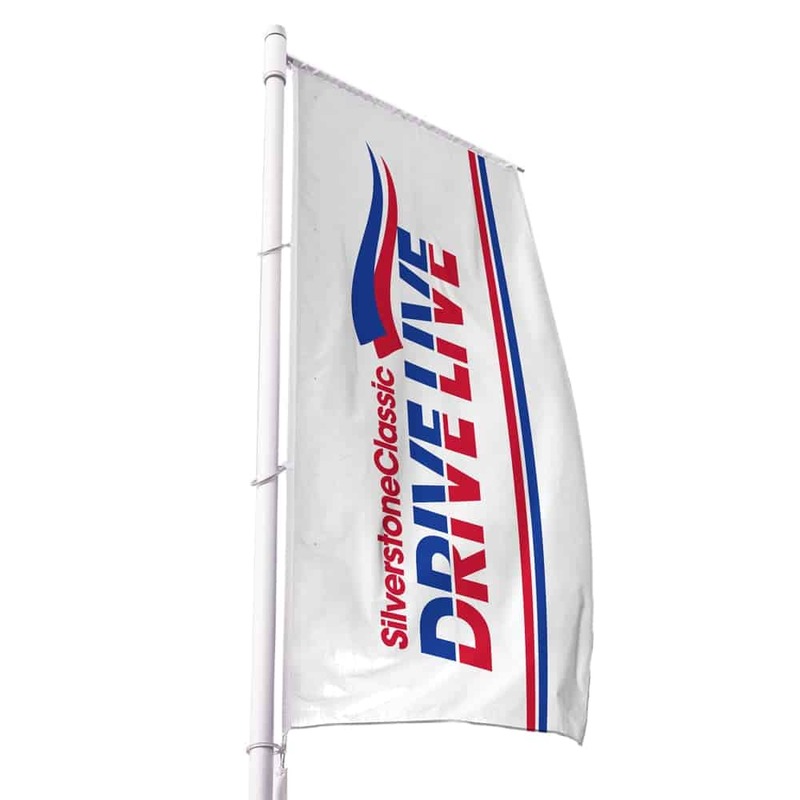 Single-sided flags have a life expectancy of 3-9 months depending on varying conditions. Therefore it may be worth considering buying more than one if you want to use over a longer period of time. Double-sided flags are for promotional use only and, if used for continuous flying, the life expectancy is dramatically reduced.